At Colonial Williamsburg last weekend, I attended a welcome reception at Colonial Williamsburg Stables sponsored by Alltech with shuttle service between the Woodlands Hotel and Colonial Williamsburg Stables sponsored by the American Quarter Horse Foundation (gotta work the payback). At the reception were spokeschickens for Colonial Williamsburg’s Rare Breeds Program, which also covers oxen, sheep, pigeons and two horse breeds, the Canadian & the American Cream Draft. The Williamsburg program is affiliated with the American Livestock Breeds Conservancy whose mission is “Ensuring the future of agriculture through the genetic conservation and promotion of endangered breeds of livestock and poultry.” Although I hope to convey their intent, the following philosophical musings are mine. Blame not the ALBC or the Williamsburg Rare Breeds Program. Right now we raise and use our cows, horses, chickens, and so on within certain patterns of weather, energy usage, farm size, nutrition requirements (theirs & ours), recreation, and so on. What if any of these elements change? What if the only available animals where unable to live outside of that vanished lifestyle? Rare breeds are a genetic bank for the future. Plus, many of these breeds, such as South Carolina’s Marsh Tacky, are specifically adapted to their region. 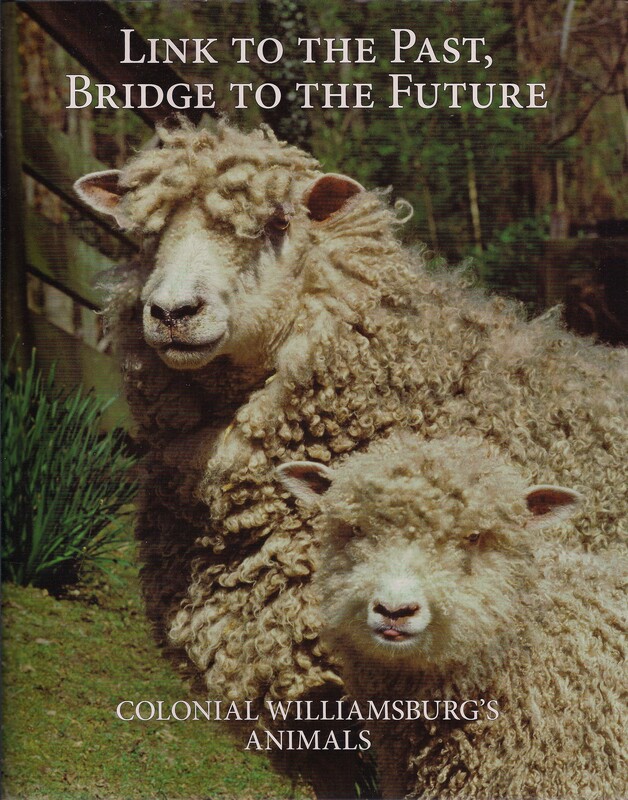 Colonial Williamsburg works to preserve breeds that help accurately represent 18thC Virginia (book photos). Other ALBC Watchlist critical breeds include 10 Colonial Spanish Breeds, some of which, e.g. Florida Cracker, are Official State Horses. It would be embarrassing, if nothing else, for a state to have a Official State Horse go extinct under their watch. But even if there where no practical reasons, why not save them? Can’t variety be its own argument? We don’t all wear functional jumpsuits and eat nutritionally-optimized algae cakes. 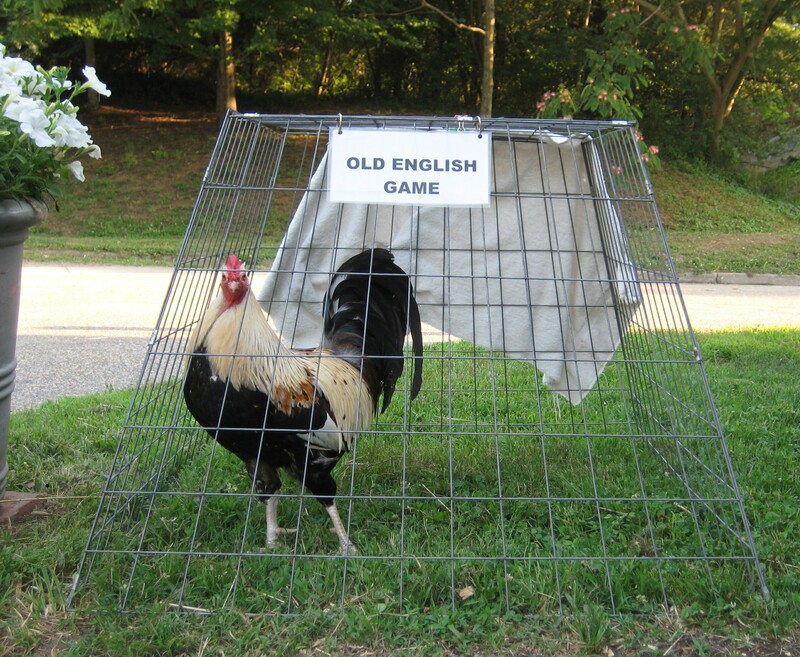 Let’s have a little style & flair in our chickens as well. So, should we bother to save rare breeds? Fascinating! I knew seeds were being preserved but chickens too! Cool! absolutely! humans have been responsible for the extinction of so many animals. save what we’ve got left before it’s too late. less and less genetic diversity in any species, plant or animal, are a receipt for disaster. one virus and there’s nothing left to replace what we’ve destroyed. Yes! Can you imagine if we had let that beautiful American Cream Draft Horse become extinct? Tsk, tsk.